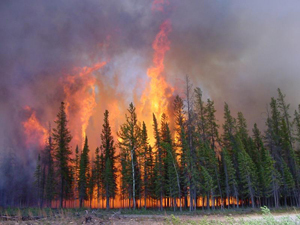 The University of Toronto has an ongoing partnership with the Canadian Forest Service (CFS) to deliver program in physical fire science based at the Faculty of Forestry. This program focuses on research related to forest fire behaviour and the development of enhancements to the Canadian Forest Fire Danger Rating System (CFFDRS). 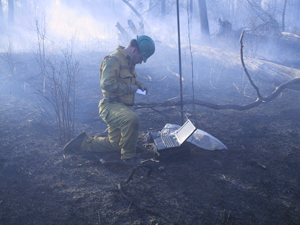 Research involves both field studies and model development in areas such as fuel moisture, forest fire ignition and occurrence and fire behaviour. The program continues a long standing collaborative research relationship between the Faculty of Forestry at the University of Toronto, the Canadian Forest Service, and the fire management agencies in Canada. As part of this research program, emphasis is placed on the transfer of research products into operational use in Canadian forest fire management agencies. To lead the development of this program Mike Wotton from the CFS Sault Ste. Marie lab (Great Lakes Forestry Centre) joined the faculty at the University of Toronto as an adjunct professor in 2006 and maintains his primary office at the Faculty of Forestry. This provides the fire program at the University of Toronto with a strong linkage to ongoing CFS CFFDRS research and also its transfer into operational use. The fire behaviour program augments the Faculty of Forestry's existing fire and forest management systems research program, established by Dave Martell. Drs Martell and Wotton co-manage the University of Toronto Firelab, a collaboration intended to provide graduate students with a broad background both in the physical aspects of the fire environment and how such environmental information and models can be used to inform and improve decision making in operational forest fire management. To support training on the physical side of fire, Dr Wotton teaches a course focussed on forest fire danger rating and fire behaviour FOR 419/1416. Our program is regularly looking for good prospective graduate students with an interest in field-based or modelling-based research focused on understanding important physical processes that govern fire ignition and spread. While much of recent research has a field-based component to it, some research questions can be addressed through the use of existing datasets and modern statistical analysis approaches. Both field research and modelling are typically carried out in collaboration with provincial fire management agencies to ensure research products address real fire management problems. Potential graduate students interested in applying should check out the Faculty of Forestry website for further details about the applicaiton process. Undergraduates at the University of Toronto interested in carrying out undergraduate thesis projects in this area as part of degree requirements are encouraged to contact us to discuss opportunities within the Fire Lab. The close contact between the fire program at the University of Toronto and the Canadian forest fire management agencies means that often problems relevant to current forest fire management issues (along with real datasets) can be identified.